Today, Venezuela’s opposition leader and self-declared president Juan Guaido will lead a rehearsal for massive widespread protests, which he expects will finally topple President Nicolas Maduro. ‘Operation Freedom’, as it has been labelled, will take aim at the leftist government’s failure to prevent sweeping power cuts that have had devastating effects on transport, hospitals and water supply. 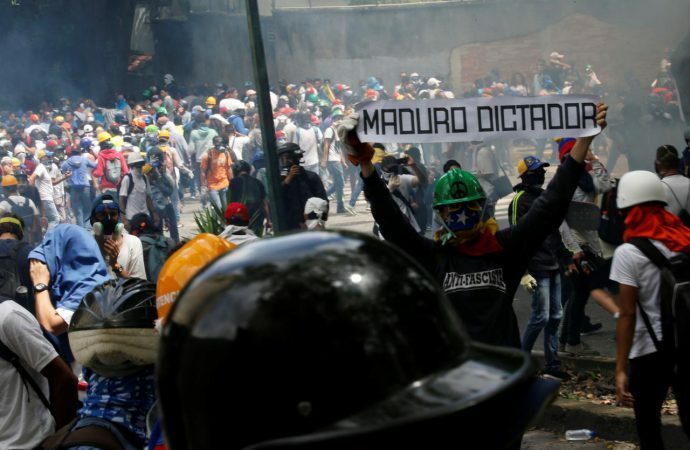 While President Maduro says the cuts have been instigated by the US, Mr Guaido blames deeply ingrained corruption within the socialist government. With an intensifying humanitarian crisis, many Venezuelans find themselves with increasing motivation to participate in mass protests. However, Mr Maduro is still backed by the powerful military, which is also drawing support from Russia. Last week, Moscow sent two military planes and 100 troops to Venezuela on an advisory mission. Washington has responded by demanding that Russian forces leave Venezuela. If Russia increases its support for Maduro’s government, Venezuela may well emerge as the next proxy battle ground between Russia and the US. On the other hand, with such strong pressure from millions of Venezuelans, this rehearsal may signal the beginning of the end for President Maduro.